Effective input patterns must evoke computationally useful responses in cultures of rat cortical neurons on MEAs. Candidate electrical stimulation patterns are evaluated for evoked-response separability and reliability via a support vector machine (SVM)-based method. Genetic algorithm is used to construct subsets of highly separable patterns. Spiking Neural Networks use the precise timing of action potentials to convey meaning. The conduction delays between neurons are one set of parameters that can be tuned to improve network performance on computational tasks, however no biologically inspired delay learning rules have been adopted by the artificial neural network community. This work shows the computational properties of delay update rules that are based on how delay change in living neural networks, as well as how the actual biological data can be used to improve performance for a prediction task. Biologically Inspired Artificial Neural Networks, such as Spiking Neural Networks (SNNs), promise to provide significant advances over classic Artificial Neural Networks (ANNs) by performing computations in ways similar to the living brain. SNNs use discrete action potentials, which require a finite amount of time to travel between neurons. 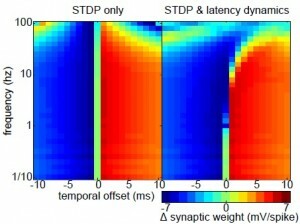 Most SNNs assume this axonal conduction delay to be constant, in spite of growing biological evidence that this conduction delay shows both long term and short term plasticity. We are working to explore the computational implications of these dynamics. 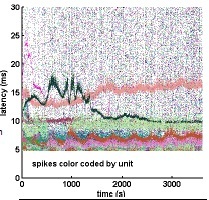 BIANN uses biologically plausible spiking neuron models. It bridges the gap between oversimplified ANNs and living neural networks. Effective encoding, decoding and training mechanisms for BIANN still need to be developed. A reservoir computing based training approach is proposed for the BIANN to serve as a novel modeling and control tool for practical applications. The BIANN is able to provide accurate one and five steps-ahead predictions of the rotor speed and terminal voltage of a generator in a SMIB, for online monitoring purposes. An adaptive, optimal, real-time controller based on adaptive critics design called dynamic stochastic optimal power flow (DSOPF) controller is proposed. Stochastic nature in power system can arise as a result of load and generation stochastic behaviors and due to random noise in PMU data which arises due to communication noise and measurement error. DSOPF controller can perform real-time control action but system wide information cannot be made available to DSOPF controller in real-time because of power system communication delays which can range from a few milliseconds to several seconds depending on distance and communication media. If state variables can be predicted ahead of time, then communication delay can be compensated for. 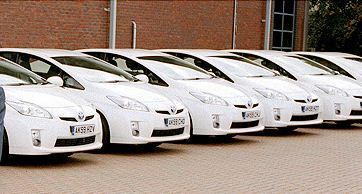 Hence, a scalable wide area monitoring system that can predict state variables ahead of time is developed. Scalability is achieved by using cellular architecture called cellular computational network (CCN). This module can effectively compensate for communication delays and hence can enable DSOPF controller to perform real-time control with system wide information. Powered by Wordpress | Chronicles by Free WordPress Themes This page has been viewed 793809 times since Sept 24, 2009.